Laval’s third quarter had some ups and downs but a handful of forwards put forth impressive performances. Those players get the top nods as we wrap up our grades. Lukas Vejdemo – B+: The first stretch of games in this quarter weren’t very impressive. However, since Vejdemo has moved into a regular top-six spot, he has really taken off offensively and is showing some signs of promise. His defensive game has been steady all year and with the rest of his game coming around, it’s not too crazy to think that he could be at the top of the recall list if the Habs suddenly get hit with a bunch of injuries. Alex Belzile – B: Staying out of the penalty box was an issue for Belzile in this stretch which is not typically a good thing to see from your leading scorer. However, he once again was Laval’s top offensive player during this stretch which is impressive considering his minor league deal. This isn’t earlier in the year when there were better players on his line – he’s the top threat now and is still getting the job done. 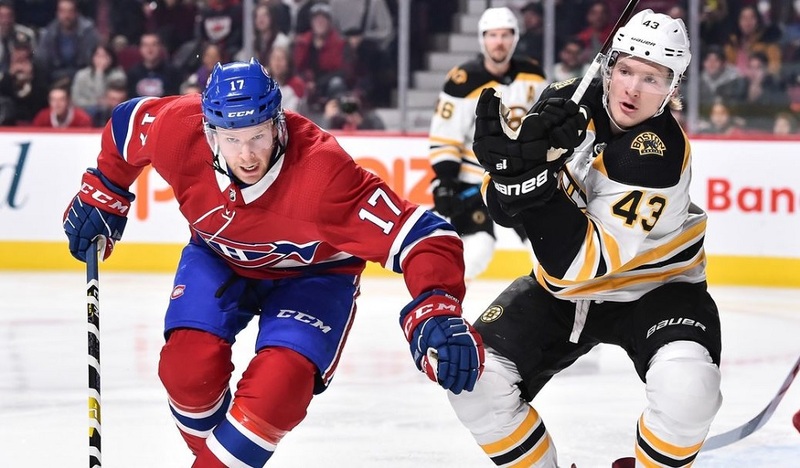 Daniel Audette – B: I was hard on him at the beginning of the year when his role was getting smaller and smaller. Since then, Audette has worked his way back into a more prominent role, primarily on the wing (though injuries have forced him to play a bit down the middle). Is it enough to get him a qualifying offer? That’s still in the air but considering a few months ago it was a near-guarantee he wouldn’t, he’s heading in the right direction at least. 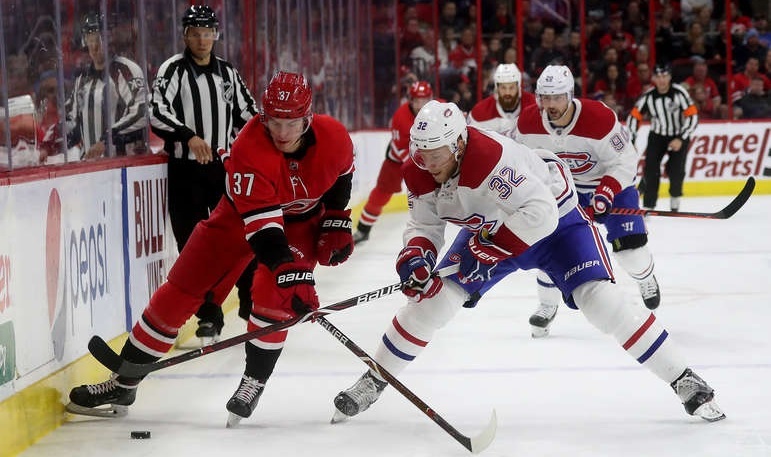 Antoine Waked – B: Injuries limited Waked to just a handful of games but he actually was a positive factor when he was in the lineup which is something that hasn’t been the case very often. While he’s now back to being a non-factor most nights, he gets the higher grade here for his good stretch. Jake Evans – B-: Inconsistency has been an issue with Evans and this was the case again in this quarter. It’s not entirely unexpected from a rookie but when he’s not on his game, he has been quiet. I’ve said for a while that he needs to start shooting more – even if they’re not going in, if it gets him more engaged at the offensive end, it would probably be helpful. He’s a pass-first player, almost to a fault at times. Alex Kile – C+: For someone coming up from the ECHL, Kile acquitted himself fairly nicely. It wasn’t too long before he was spending time in the top six although he settled into a lesser role after that. He did well enough to earn himself a second 25-game PTO deal that will carry him through the rest of the year. Alexandre Alain – C+: A little quieter this time around, Alain may be starting to feel the effects of his first professional season. He’s spending more time in the bottom six which is probably ideal in terms of development considering he isn’t quite ready to be a go-to player yet at the AHL level. Michael Pezzetta – C: Injuries forced Pezzetta to play a regular role and for the most part, he held his own. 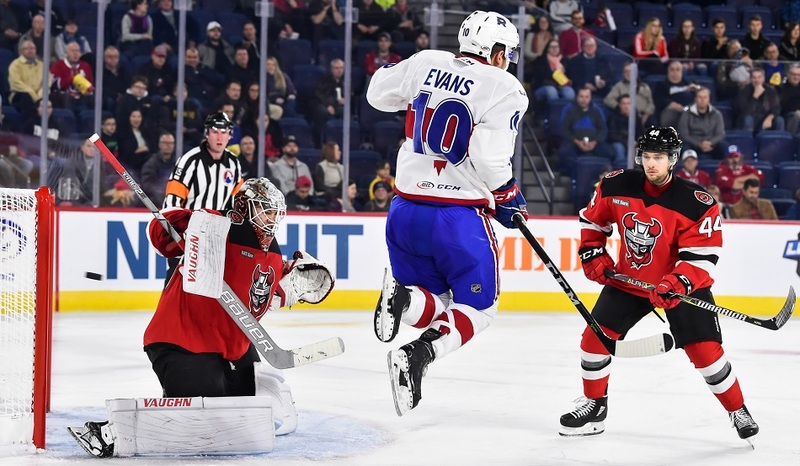 There was the odd moment of impressive offensive play which provides a bit of optimism for him moving forward that he can at least develop into a capable fourth liner in Laval with a bit of potential to move up. Hayden Verbeek – C: Verbeek was decent at times but also looked overmatched at others. His speed and tenaciousness make him a safe player to put on the fourth line but I think he would have been a lot better served spending a lot more time at the ECHL level where he would have received a lot more playing time. Nikita Jevpalovs – C: Jevpalovs continued to be used up and down the lineup and while he hasn’t been too productive as of late, he has been a reliable defensive player at the very least. If he’s open to signing another AHL deal (an NHL contract is out of the question), I could see Laval wanting to bring him back for next season. Alexandre Grenier – C-: There were some signs of life from the veteran which is something we haven’t seen too much of this season. It’s still a case of too little too late but the odd decent game is better than nothing, I suppose. Phelix Martineau – D+: There’s no denying Martineau’s effort but he just looks overmatched more often than not. It’s telling that as players have returned from injury, they opted to send him back to the ECHL over the ECHL players on tryout deals. Morgan Adams-Moisan – D+: He scored a goal but also showed that he is not capable of being a regular AHL player. Adams-Moisan was an effective physical player in junior but that alone isn’t enough to be worthy of a spot in Laval. Hunter Shinkaruk – D-: The highlight of his quarter was getting injured so that his beyond subpar play wouldn’t be in the spotlight as much. Since it was a minor league deal, most people won’t care but the decision to trade Kerby Rychel for Shinkaruk was a particularly poor one by GM Marc Bergevin.